Choosing between a credit card and a loan will be somewhat influenced by how disciplined you are as a borrower and a spender. But the annual percentage rate on loans and credit cards should always be a major deciding factor when it comes to borrowing. On paper, credit cards seem like a good deal, especially if you can find low or zero annual percentage rates (APR). However the APR on credit cards is usually much higher than those found with loans. If it’s short term borrowing then credit cards can be a good option, if you are able to stick to clearing the balance before the interest kicks in. Credit cards are a major reason for debt problems in Britain. It is not uncommon for people to juggle credit cards with huge balances in order to try and avoid spiraling interest fees. However, limits on credit cards are easily extended and more credit cards can mean the possibility of multiple missed or late payments, and the subsequent multiple fees. Loans will usually have a lower APR than most credit cards. With a loan you know exactly how much you are getting and how much you need to repay. Over the length of the loan the interest payments should fall as the loan decreases. By setting up a direct debit to make loan repayments the same amount will come out of your bank account every month. With credit cards there is a temptation to simply pay the minimum amount every month, which means it could take years or repayments and interest fee charges before the credit card is cleared. It makes sense to pay the least amount of interest that you can when borrowing money. 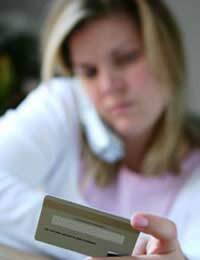 Many people use the option of taking lower interest loans out for the reason of eliminating their credit card debts. There is always the option of moving present credit card debts to other credit cards that give introductory zero percent interest on transfers for a limited amount of time. However this will only really work if you intend to clear off the debt before the interest kicks in. If you are considering changing to a zero or low interest credit card to eliminate other card debts then try to obtain the longest period of zero or low interest that you can. Six months may be a suitable amount of time to pay off the balance from other cards, unless your balances are high. Always remember to shut down other credit cards when you transfer balances. If you don’t shut them down then there is always a temptation to use these cards, and in the end all you will have achieved is a short reprieve. Using loan and credit card comparison websites should be helpful when choosing between a credit card and a loan. Comparison sites will be able to compare interest rates between a range of credit cards and loans. They will not of course be able to tell you how much you will spend on your credit card but they can give an average idea of costs. Comparison sites may also not be able to give details of arrangement fees for setting up loans, and you will also need to figure in the cost of payment protection insurance if you choose this option. Always look at the annual percentage rate when choosing between a credit card and a loan; this should be the governing figure. Loan interest rates will usually be less than credit cards unless the only option open to you is very high interest loans. Whichever option you choose the golden rule is to avoid penalty fees for missed or late payments. These fees can accrue very quickly if you do not keep them in check, and can add to the length of the time it will take to clear debts.